Daily cooking doesn't have to be repetitive. Most of the meals I cook can be done in 30 minutes and are fairly healthy. 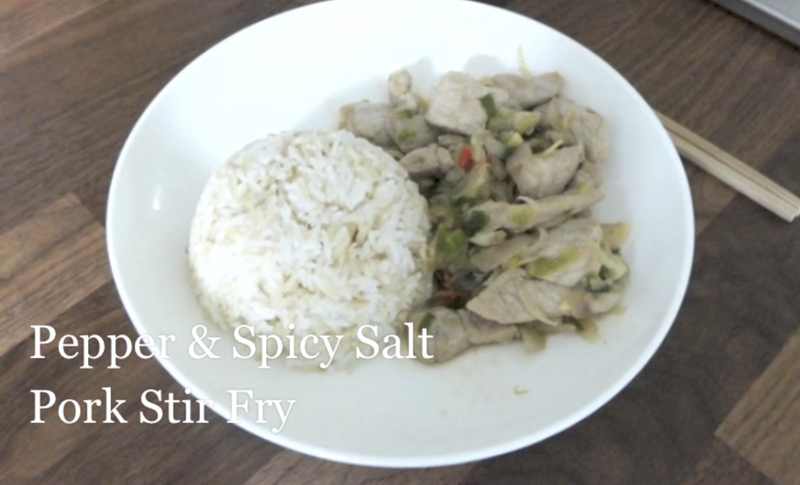 My first video is an easy stir fry version of Pork in Pepper and Spicy Salt where no deep frying is involved. I'm sure most of you are familiar with the pepper and spicy salt dishes, such as prawns in pepper and spicy salt, but I want to show how to make a stir fried version instead. It's healthier and far easier to cook on a daily basis. If only I can smell your cooking through YouTube! This looks so tasty Lucy, great recipe! The video is fabulous - well done! I would be waaaay to nervous in front of the camera to be comprehensible but you're such a natural! Thanks SO much Connie, I was super nervous and had to do a few takes hehe.